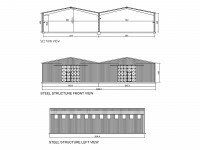 Large-span steel structures in this category are designed taking into account the static and dynamic loads. Production details and drawings are prepared by our expert and experienced technical staff. These buildings can be used as storage laundry, workshop etc. 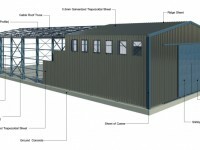 as part of construction site buildings or as permenant buildings such as warehouse, workshop, factory buildings etc. 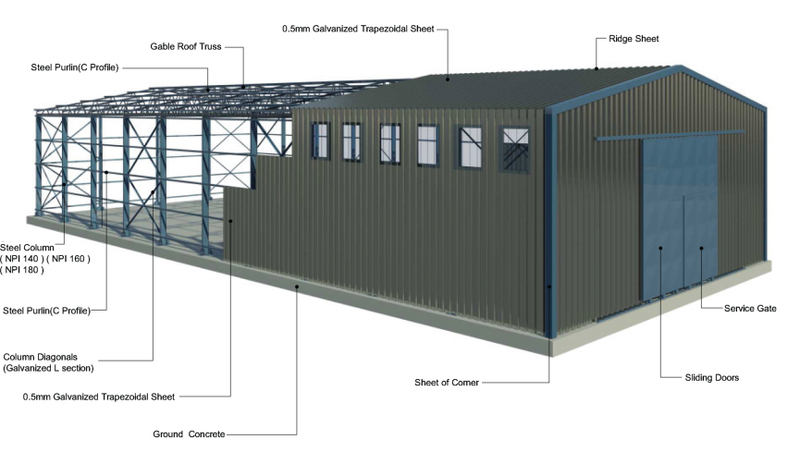 Standard galvanized structural steel products are manufactured in a high standard with unwelded structure technology. Ease of manufacture, rapid installation, flexibility and lightness with superior earthquake performance criteria, being environmentally friendly and economical are some of the advantages of these structures. Snow and wind loads are considered at the stage of statical calculations. Standard layouts are arranged with the span of 10m and an integral multiple of 10m, 4-5-6m in height. They can be produced in desired lenght. Optionally insulated panels are also used.